Is there any paperwork or document for the mechanical systems of 7 Gibson Crt, Ajax, Ontario? I need more information about the property at 7 Gibson Crt, Ajax, Ontario. How ist the neighborhood, location and nearby amenities for 7 Gibson Crt, Ajax, Ontario? I have questions about the roof, foundation, insulations and mechanical issues of 7 Gibson Crt, Ajax, Ontario? I need more information about property details. What's wrong with this house? Is this a short sale? Is there any maintenance for 7 Gibson Crt, Ajax, Ontario? What is this property worth in today's market? What are "closing costs", and how much? What steps should I take when looking for a home loan? What price home can I afford? Is my credit good enough to buy this house? What are the best mortgage options for me? How flexible is the seller on the asking price? 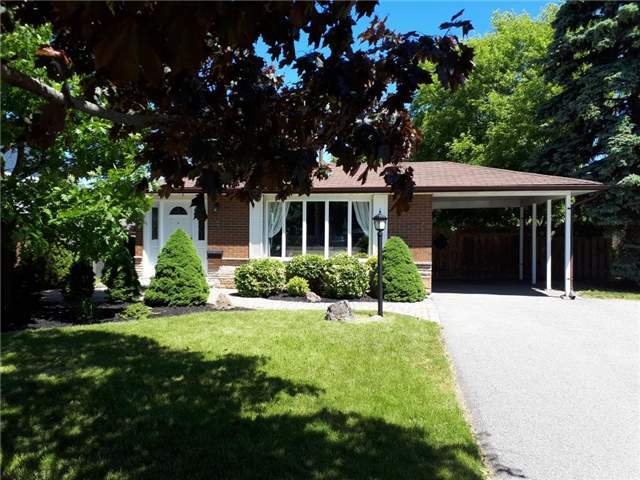 How low can I consider offering for 7 Gibson Crt, Ajax, Ontario? Welcome! This Home Has Undergone A Beautiful Transformation With An Abundancy Of Natural Light. Meticulously Upgraded Reno With A Real Cozy Lower Level. South Ajax Gem On A Spectacular Deep, Private Treed Lot. New Fridge, Stove, Exhaust Fan, Existing Washer, Dryer, Central Air, Furnace, Circuit Breakers, Humidifier, Shed, All Elfs And Window Coverings, Existing New Bdlm. Hwt (R).